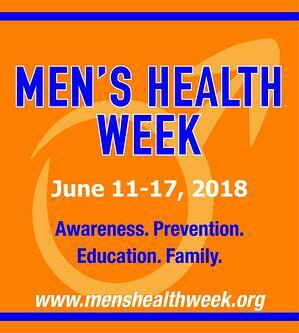 June 11–17 Is National Men's Health Week! Since 1994, the U.S. has recognized National Men’s Health Week in order to raise awareness of preventable disease in men and boys as well as the benefits of early detection and treatment. The joint resolution that established this designation cited the threat of cancers and other diseases and recognized that men tend to visit their doctors less often than women. In 2002, representatives from six leading men’s health groups from various nations came together and agreed to launch International Men’s Health Week. Each year, health care providers and policy makers around the world work to encourage men and boys to get regular checkups and care for their health. In recognition of Men’s Health Week, we’ll look at some of the health risks men face and what individuals can do to reduce those risks. Discuss your risk of cardiovascular disease with your doctor. If your risk is elevated, then you may be advised to undergo CT cardiac calcium scoring. This is an imaging exam that allows a radiologist to determine the level of calcified plaque buildup in the coronary arteries. This information helps your doctor better assess your risk of heart attack, stroke, and other CVD-related health events. Additionally, some research has shown that it can provide insight into your risk of other dangerous conditions, including cancer, lung disease, and kidney disease. Iowa Radiology uses state-of-the-art technology in the hands of highly trained technologists and radiologists to aid in the early detection and treatment of potentially dangerous health conditions. 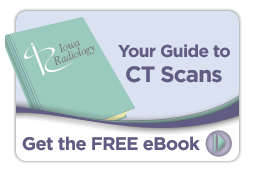 Click the link below to learn about CT exams, including cardiac calcium scoring. "Cancers." Men’s Health Resource Center. Men’s Health Network, 7 June 2104. Accessed 8 May 2018. "Prevent Nearly 50% of the Most Common Cancers." AICR.org. American Institute for Cancer Research, 20 Jan 2015. Accessed 8 May 2018. "Men and Heart Disease Fact Sheet." CDC.gov. Centers for Disease Control and Prevention, 23 Aug 2017. Accessed 8 May 2018. "Avoid these foods for a healthier heart." Harvard Health. Harvard University, 13 Dec 2011. Accessed 8 May 2018. "High coronary calcium score may signal increased risk of cancer, kidney and lung disease." ScienceDaily, 9 March 2016. Accessed 9 May 2018.